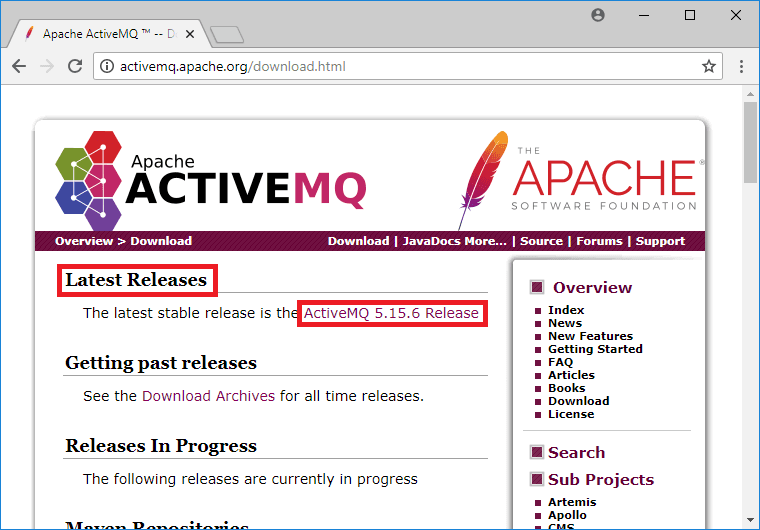 Do you want to download and install Apache ActiveMQ on Windows? 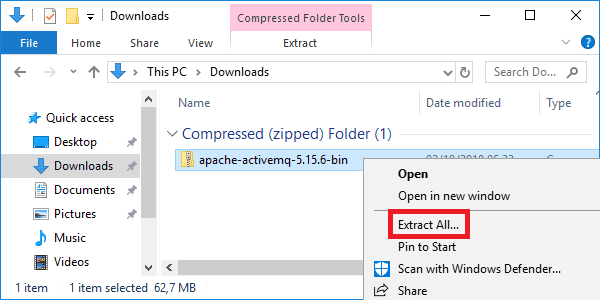 In this tutorial, I’ll show where to download ActiveMQ. How to start and stop a broker. And how to access the admin console. Apache ActiveMQ is an open source message broker written in Java. It offers JMS, REST and WebSocket interfaces. Other protocols like AMQP, MQTT, OpenWire, and STOMP are also supported. You can use these to connect applications written in different programming languages. 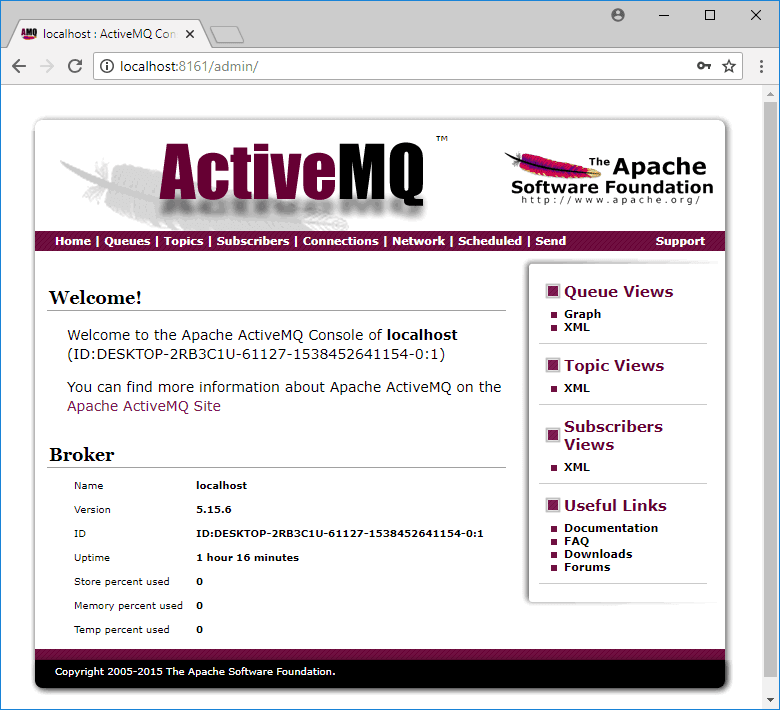 The ActiveMQ project is part of the Apache Software Foundation. A decentralized open source community of developers. 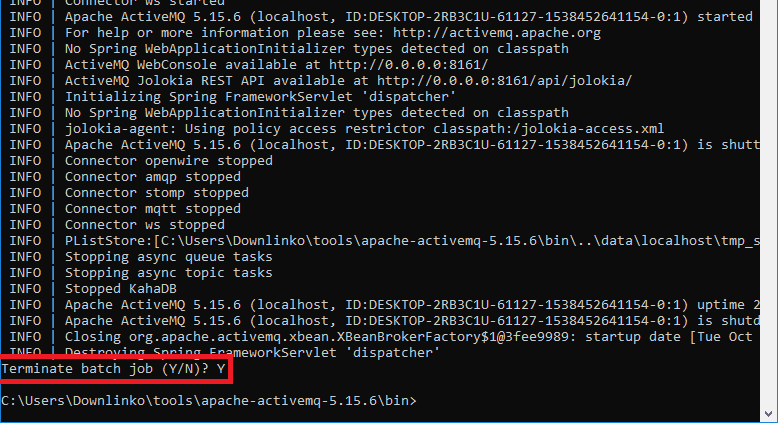 Apache ActiveMQ requires Java to work. So let’s check if you have Java configured on your system. For ActiveMQ 5.11 and onward you need Java version 1.7 or higher. Head over to the ActiveMQ download page. Click on the link under the Latest Releases section. Locate the Getting the Binary Distributions section. Click on the link for the Windows distribution. 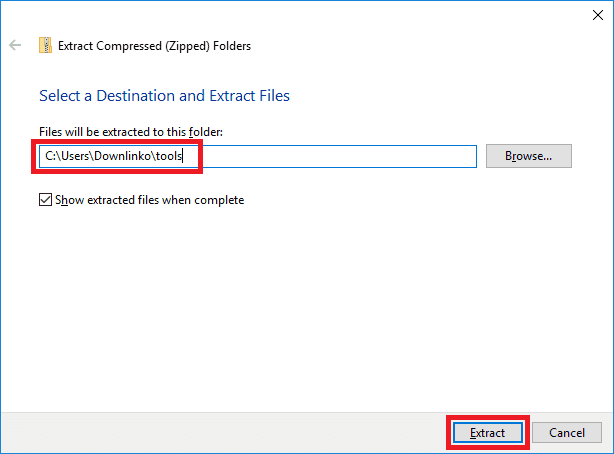 Select an extract destination for the ActiveMQ files. Click on Extract. 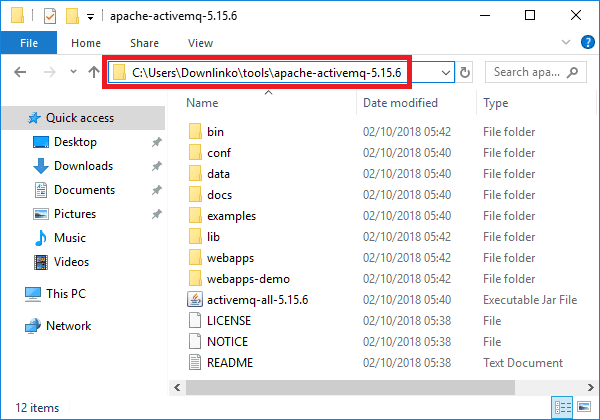 This extracts all ActiveMQ files under C:\Users\Downlinko\tools\apache-activemq-5.15.6. From now on we refer to this location as [ACTIVEMQ_INSTALL_DIR]. 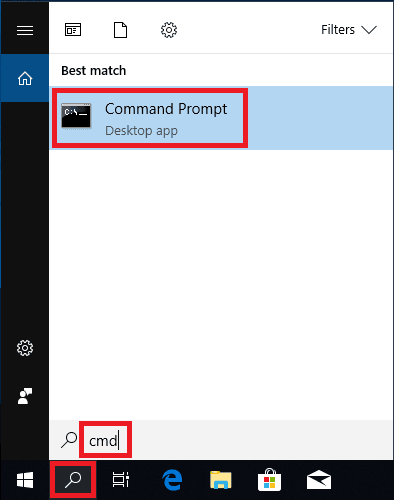 To start ActiveMQ, we need to open a command prompt. Click on the search button. Then type “cmd”. 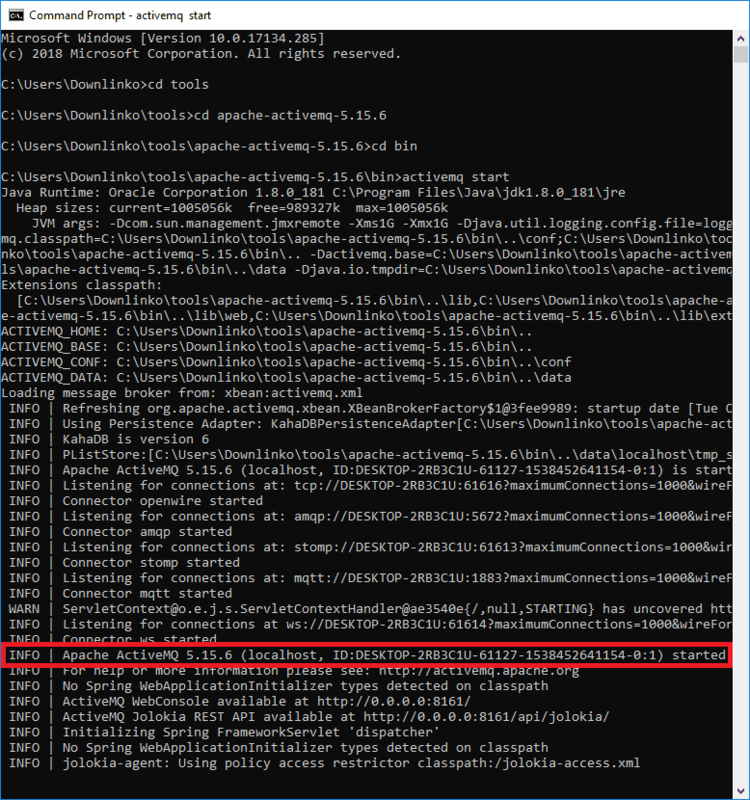 Navigate to [ACTIVEMQ_INSTALL_DIR] and then change to the bin subdirectory. Type “activemq start” and press ENTER. One of the log entries mentions Apache ActiveMQ started. This indicates that ActiveMQ was started. Apache ActiveMQ ships with a web-based administration GUI. 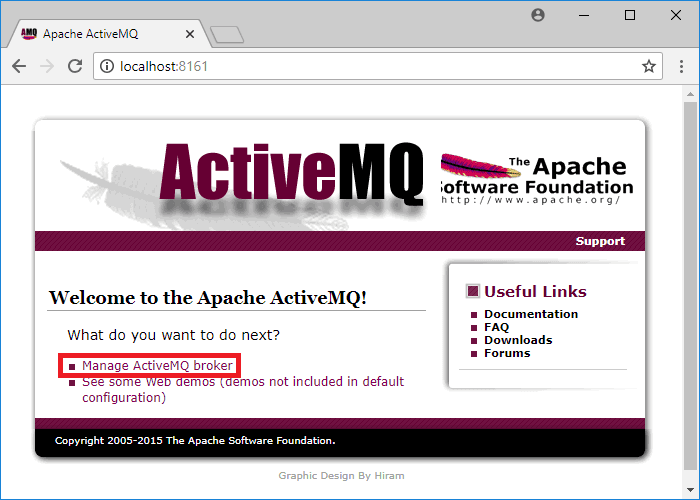 If ActiveMQ is up and running a welcome page is displayed. Now click on the Manage ActiveMQ broker link to access the console. On the homepage, you can find some basic statistics on the ActiveMQ broker. Also, there are some menus that allow you to explore the different configuration items (queues, topics, connections, …) of the broker. To wrap up this tutorial we will stop the running ActiveMQ instance. Switch back to the command prompt that you used to start ActiveMQ and press CTRL+C. When prompted to Terminate batch job, Type “Y” followed by ENTER. The console will return to the prompt and Apache ActiveMQ is shut down. 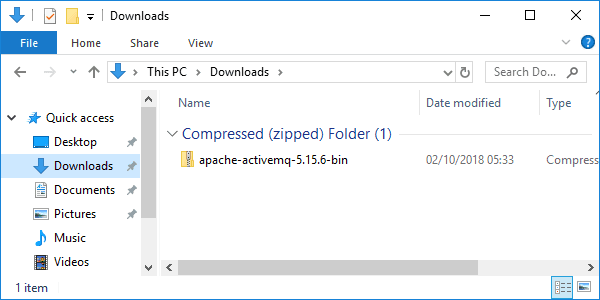 Congratulations, you have installed Apache ActiveMQ on Windows 10! Leave a comment if you found this post helpful.